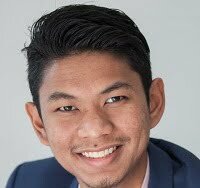 Home › Budgeting › RIO 2016: How Much Do Malaysians Have To Pay To Catch the Olympics LIVE? RIO 2016: How Much Do Malaysians Have To Pay To Catch the Olympics LIVE? 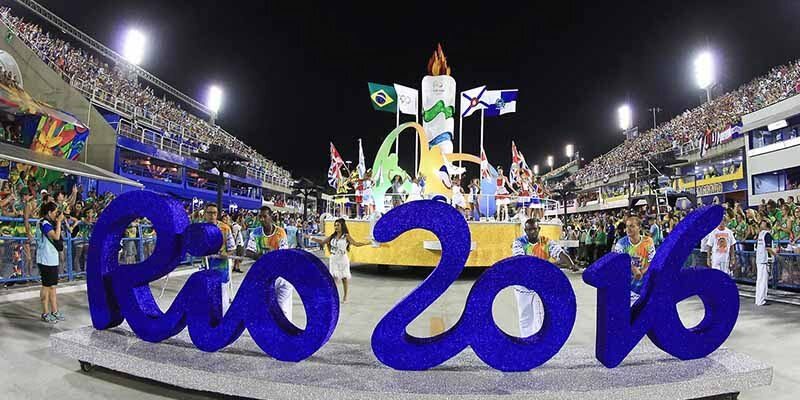 The 2016 Summer Olympics is set to take place in Rio de Janeiro, Brazil, from August 5 to 21 – the first ever to be held in a South American city and in a Portuguese-speaking country! If you’re planning to power up your travel experiences by making an actual trip to sunny Rio to catch the event LIVE, here’s how much it would cost you. 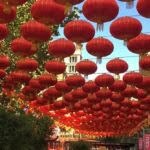 Flying to another continent don’t come cheap for sure, so it’s no surprise that your air ticket to Rio will take up a large chunk of your travel expenses. However, there are currently no direct flights from Kuala Lumpur to Rio de Janeiro. 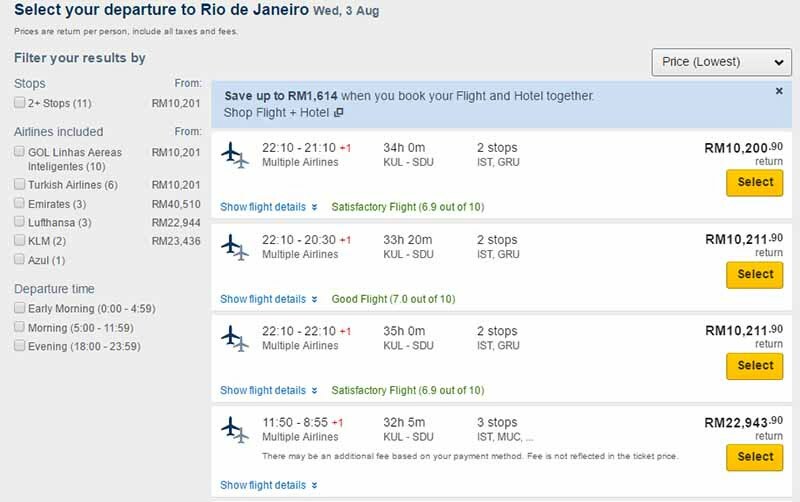 According to Expedia, most flights to Rio would entail at least two stop-overs and the cheapest return ticket to the seaside city could cost at least RM10,200.90 (not including additional charges). With this flight option, your outbound flight with Turkish Airlines will have two stopovers – in Istanbul and in São Paulo’s Congonhas Airport before you arrive at your destination in Santos Dumont airport in Rio. Meanwhile, your inbound flight with Brazilian airline, GOL will see two stop-overs – in São Paulo’s Guarulhos International Airport and in Istanbul, before heading home to Kuala Lumpur. 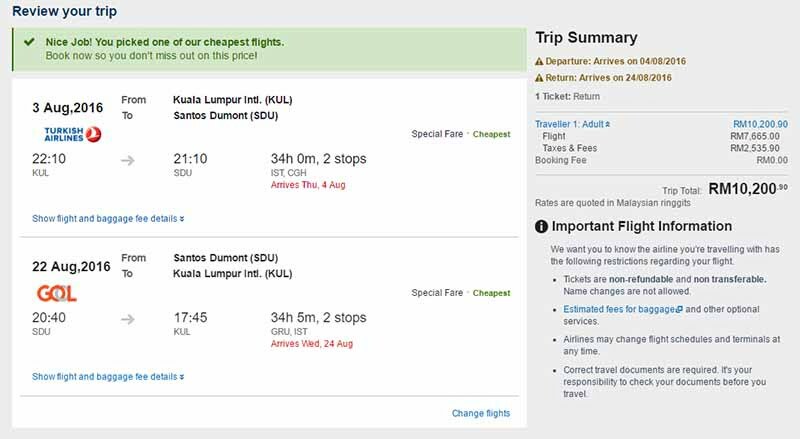 Don’t forget that your trips to and fro KLIA could also cost you at least RM100 too! Upon your arrival, a one-way trip from Santos Dumont Airport in Brazil to the vicinity of Maracanã Stadium (where the opening and closing ceremonies of Rio 2016 will be held) could cost anything from R$31.15 (RM38.75) to R$35 (RM43.53). However, as it will be peak travel season in Rio in lieu with the summer Olympics, do expect to fork out more for your cab expenses (and everything else in general). When you travel all the way to a different part of the world, you would want a comfortable stay to complete the experience. If catching the Olympics’ opening and closing ceremonies ranks at the top of your list, you could opt for hotels that are closest to the venue at the Maracanã Stadium. Of course, hotels located in prime locations also come with a higher price-tag, so be prepared to pay a little more if you’re planning to stay near the stadium. 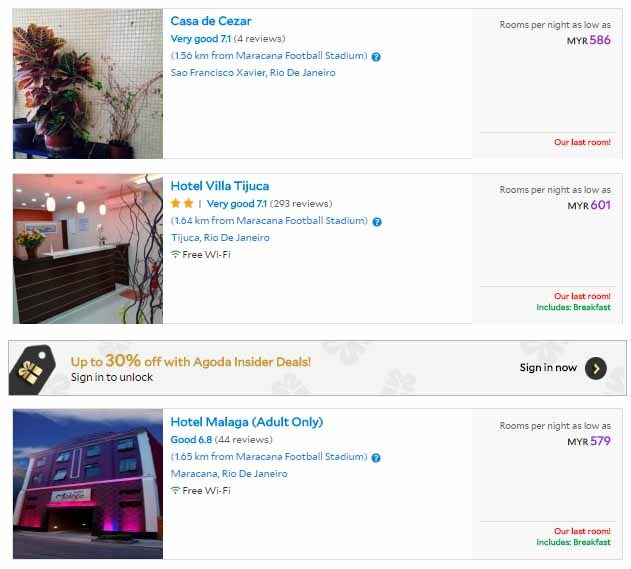 If you’re planning to save a few bucks on accommodation, your best bet would be a hotel or lodging that’s situated further away from the stadium, such as these locations in downtown Rio. The downside to this is you will likely need to fork out more for transportation, which could come up to quite a bit in Rio, depending on your choice of transportation (more on this below). Alternatively, you can also consider using Airbnb, which might work out to be slightly cheaper than staying in a hotel. Prices average at RM367 per night for the period. You can even find one near the stadium for as low as RM162 per guest for a private room, and it’s only 5-minute walk from the stadium, which will help you save on transportation cost! Taxis are an easy and convenient way to travel around Rio, but they’re also a rather pricey one! According to Numbeo, the flag-down rate for taxis in Rio averages at R$5.20 (RM6.41). Every 1km thereafter will cost R$2.30 (RM2.83) on average. 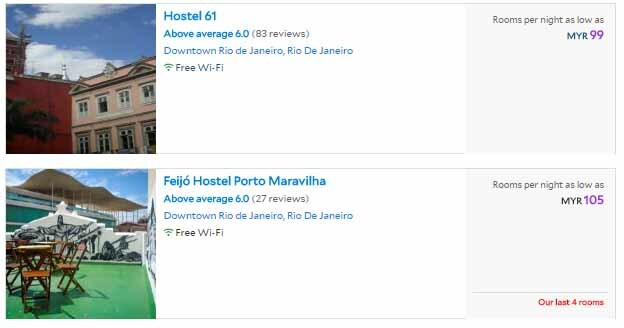 With the rates, a one-way trip from Feijó Hostel Porto Maravilha in downtown Rio to the Maracanã Stadium (see point no. 2), located just 6.9km away, could easily come up to R$26.47 (RM32.62). You can estimate the cost of your journeys in Rio De Janeiro with this taxi fare calculator. Travellers can also get around the city with Rio’s Bus Rapid System (RPS), which features dedicated public transportation corridors in Copacabana, Ipanema, Leblon and Barra. Fares on most buses hover around R$3.40 (RM4.19) per trip. Otherwise, there is the metro system and you can purchase a prepaid card from a kiosk in any metro station using cash (no change will be given) with a minimum of R$5 (RM6.16) or more. 4. How much are the tickets to Olympics? Here comes the highlight of your trip – catching the 2016 Olympics LIVE before your very eyes! According to the official Rio 2016 website, tickets to the opening ceremony will range from R$200 (RM246.21) to R$4,600 (RM5,662.78). Meanwhile, it will cost you between R$200 (RM246.21) and R$3,000 (RM3,693.12) to catch the closing ceremony at the venue. Of course, you would want to catch all the action at the Olympics too! Tickets to sporting events like badminton, boxing, synchronized swimming and weightlifting would cost you between R$140 (RM172.35) and R$420 (RM517.04) per ticket. When you travel, experimenting and tasting all the different flavours that a place has to offer is an integral part of the experience. To do this, you need money, obviously. According to Numbeo, a meal at an inexpensive restaurant would cost about R$27 (RM33.24), while a meal at a mid-range restaurant (for two people) will set you back between R$90 (RM110.79) and R$160 (RM196.97). Snacks could cost about R$15 (RM18.47), while a combo meal at McDonalds in Rio comes up to an average of R$24 (RM29.54). The good news is, beer is slightly cheaper in Rio than in Kuala Lumpur. For instance, you can get a domestic beer (0.5 litre draught) from R$5 (RM6.16), and imported beer (0.33 litre bottle) for R$15 (RM18.47). According to our rough budget above, here’s how much you will likely need to spend for a trip to Rio de Janeiro to catch the Olympics live for two persons. That’s close to 30 grand for a 14-day travel to the land of Neymar to catch the Olympics live. 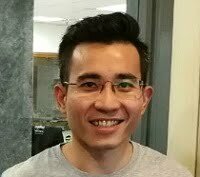 If you are not comfortable with bringing too much cash, it will be a good idea to bring along a credit card that offers you good rebates or reward points for overseas spending. However, be aware of the cost of swiping your credit card overseas. 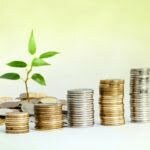 If you’re the more adventurous sort (unlike us) who plan to travel more alternatively, such as camping, hitch-hiking or volunteering, you would likely be able to slash the costs of transportation and accommodation by about half (or more!). Now that you have an idea of how much it’ll cost you to catch the Olympics in Rio, would you consider making a trip?